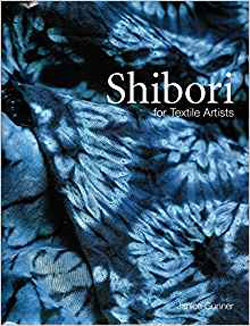 Shibori is one of the world's richest textile traditions. Commonly associated with Japan, it is in fact a technique long used in Africa, India and South America. Combine traditional Japanese, African and Indian shibori methods with contemporary techniques to create stunning textiles that are bursting with rich, intricate patterns and bold colour. A range of techniques is covered from tied and stitched designs to ideas for wrapping, folding, clamping, pleating and binding. Simple and safe instructions for a range of dyeing techniques are also included. Practical information is accompanied by clear instructions and diagrams, aimed at quilters, embroiderers and textile artists of all abilities. Stunning quilts and embroideries throughout demonstrate the full potential of the technique, alongside practical advice on turning your shibori textiles into beautiful quilts, hangings and textile art.